If you find there’s always a job to do around the home or yard and you’re looking for a powerful tool to help get it done, you might have considered a chainsaw before. However, traditional chainsaws can be bulky at best, and often run on gas which can be harmful to you and the environment. 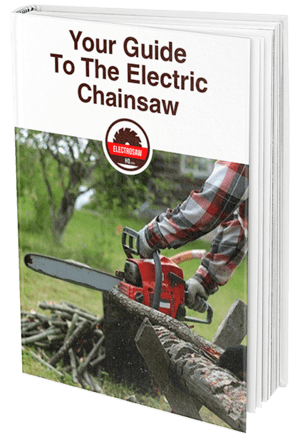 An electric chainsaw can provide the perfect in between, with a powerful tool comprised in a small package that allows you to make light work of those odd jobs in your yard or on the farm. Finding one that has enough power behind it to get the jobs done, but would suit someone who’s never handled a chainsaw before can be a daunting task, though, particularly with no knowledge about these machines. 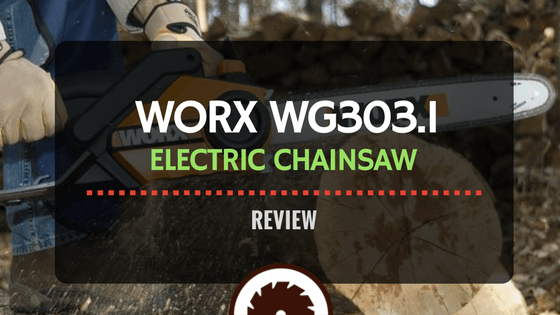 The Worx WG303.1 16” 14.5 Amp Electric Chainsaw﻿﻿ is just the product you’ve been searching for, with a powerful enough motor behind it to make light work of the easy jobs you need to get done with minimal fuss. Best of all, it’s simple enough to operate so it can be used by complete beginners all the way up to seasoned professionals. If you’ve ever been in the market for a power tool before you’ve likely come across the WORX name. WORX are absolute leaders in the yard and power tool industry and have made quality and affordable products for the everyday user for many years. Their 16” Electric Chainsaw is a prime example of this quality and is full of features to make light of any jobs around the yard or farm that might need a bit of extra power. The WORX 16” 14.5 Amp Electric Chainsaw runs solely on electricity, so there’s no need to fill it up constantly with harmful gasoline. Whether you want to do trimming, cutting or clearing, there’s no job that your WORX can’t do. It’s full of amazing features that make it the perfect first time chainsaw for the inexperienced, but powerful enough to suit someone who knows what they’re doing. This electric chainsaw was designed for people who often have small jobs to do around the yard or farm such as cutting firewood or clearing bushes. If you’re looking for the ease and convenience of a chainsaw without the need for anything too bulky, the WORX 16” 14.5 Amp Electric Chainsaw is the product for you. The best thing about the WORX 16” Electric Chainsaw was how lightweight it was without losing any power. Users found it extremely easy to handle, particularly those who had never really worked with power tools before. Although the cord could come as a nuisance for some, electric chainsaws have a range of benefits over gas powered ones that make it easy to put with a cord. One thing pointed out by many reviewers had to do with the chain oil and automatic lubrication function. There was oil included when they purchased the chainsaw which was quite thin, and many people found then when they used their preferred oil it didn’t do quite as good of a job lubricating. This will take a bit of trial and error to get the right oil for this chainsaw, so be prepared to give a few things a try. Overall, though there were extremely positive things to say about the WORK 16” Electric Chainsaw. Users found it perfect for small jobs around the home such as cutting wood and trimming back their gardens, so it was the right size and power to get most of what they needed to be done. Because it doesn’t use any gas to operate, it’s also cleaner and quieter than most comparable chainsaws on the market. If you’re ready to invest in a serious power tool with the lightweight handling that makes homes around the yard easy, you can get the Worx WG303.1 16” Electric Chainsaw for an absolute bargain online. Amazon currently has this power tool listed for just over $90 which is exceptional value for money considering its quality and the trusted brand name. Although WORX offers a three-year limited warranty with this chainsaw, Amazon can also give you a four-year protection plan on top for well under $20. This additional peace of mind will cover you for mechanical and electrical failures for four years after the warranty expires, meaning you can get a quality chainsaw that will last 7 years for just over $100. When you order through Amazon now you’ll also get free shipping, and Prime members will even get it express shipped for no extra cost. If you’ve got jobs that need doing urgently around the home, this could be a huge benefit. Amazon recommends the Oregon Chain Saw Bar and Chain Oil to use with this product, which can help with the auto lubrication function of your power tool. However, if there’s a preferred oil you like to use then it’s best to stick with what you know. WORX are no strangers to the world of chainsaws, and their 16” 14.5 Amp Electric Chainsaw proves exactly this. This machine is the perfect mix of power and lightweight portability, so you won’t even notice yourself tied down with an electric cord. Without the gas needed to run your power tools, you’ll be treated to a cleaner and quieter chainsaw than you’ve ever experienced. No matter what types of jobs you have around the home, this chainsaw can tackle them. If you’re ready to make the switch to electric and trust WORX to do the job for you, click here to purchase the 16” 14.5 Amp Electric Chainsaw today.